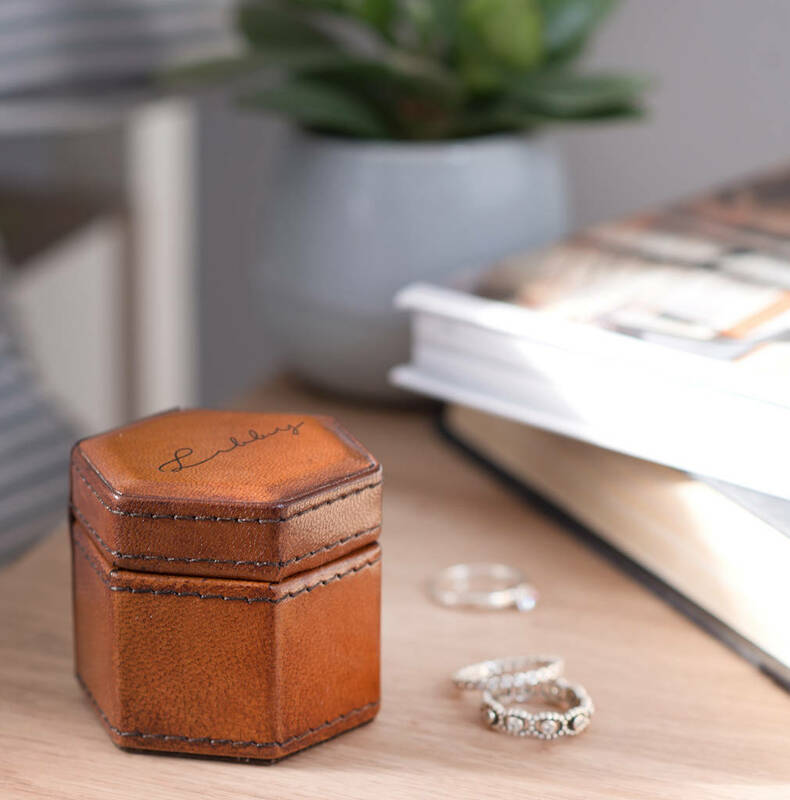 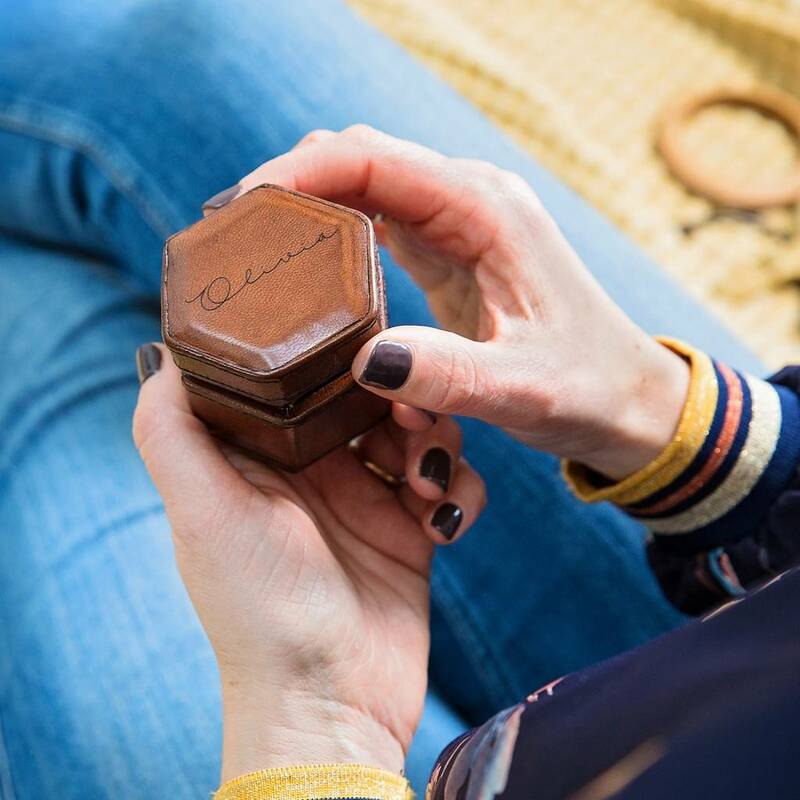 New and exclusive to Ginger Rose, our bespoke personalised leather ring box is perfectly sized to store rings and earrings. 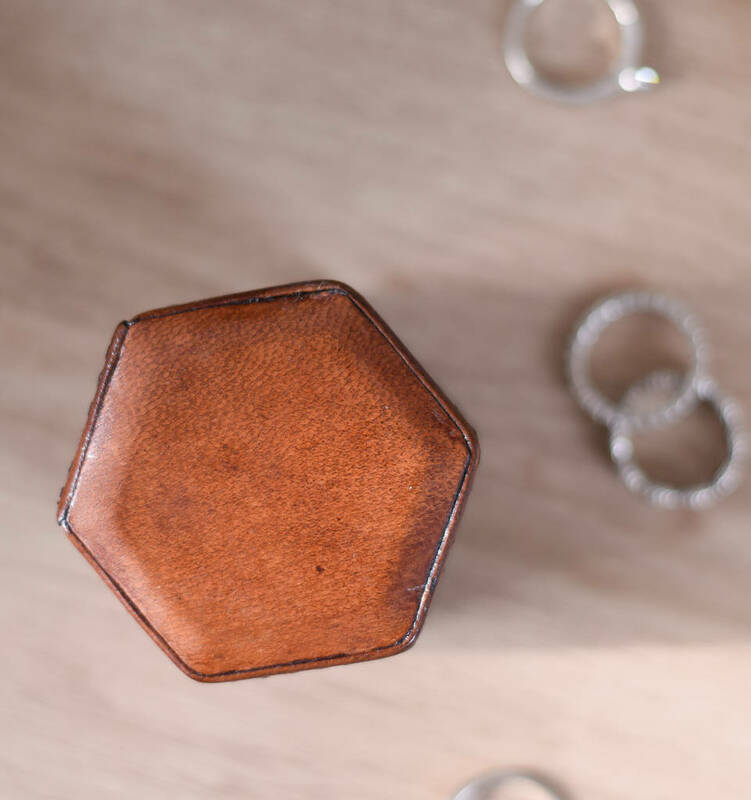 With some cool geometric sides this leather ring box is part of our new range of hexagonal jewellery boxes. 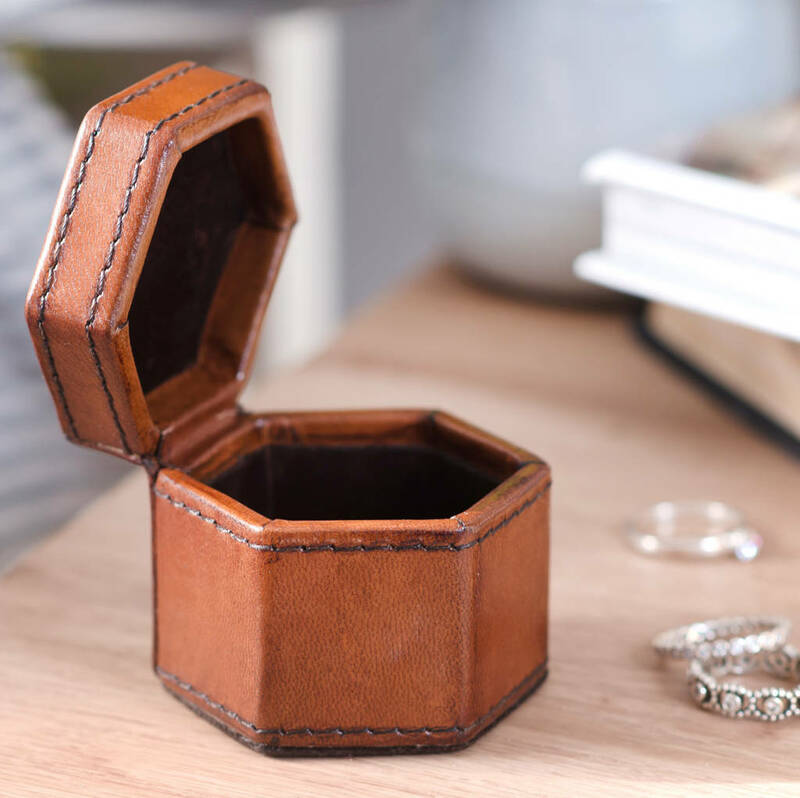 Store safely a collection of small everyday jewellery items or create a beautiful proposal box. 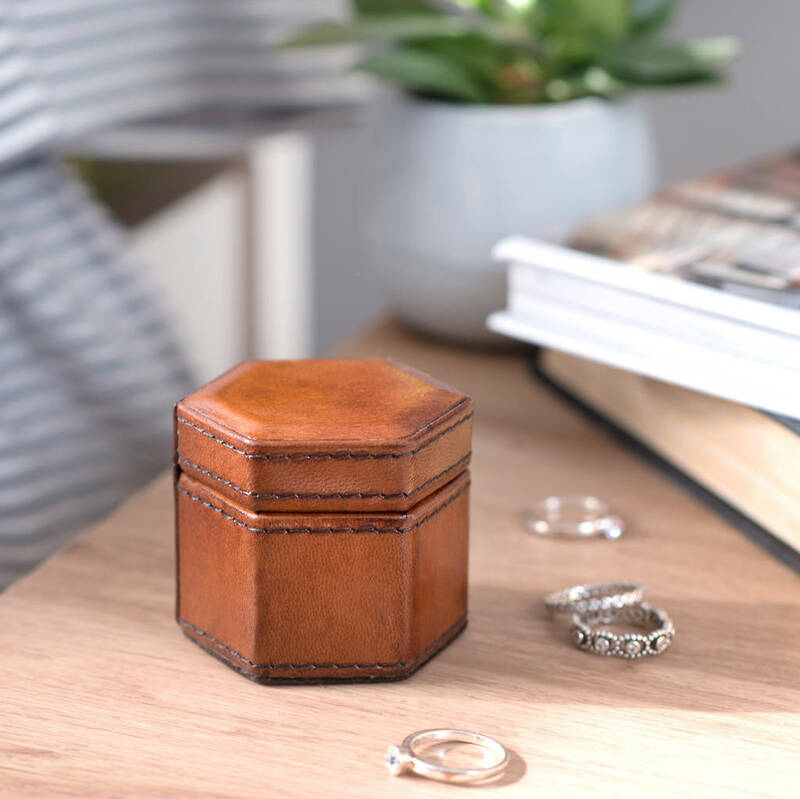 Makes a great mothers day gift - a timeless and functional leather gift for her, be it a milestone birthday, 3rd anniversary gift (which is traditionally leather,) a christening gift or a wedding day present or simply just because, our leather boxes will be loved for years to come. 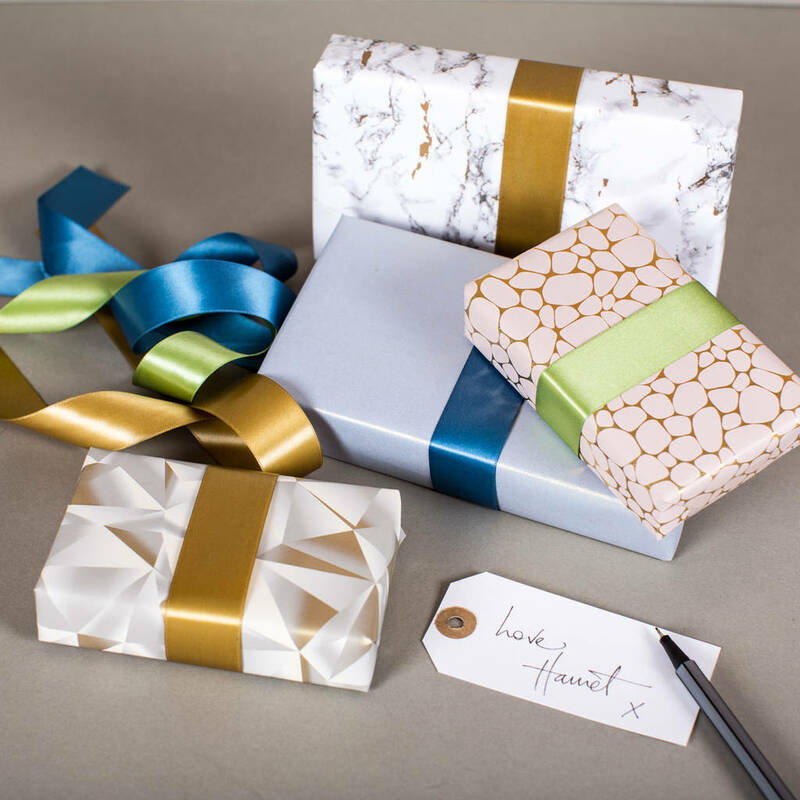 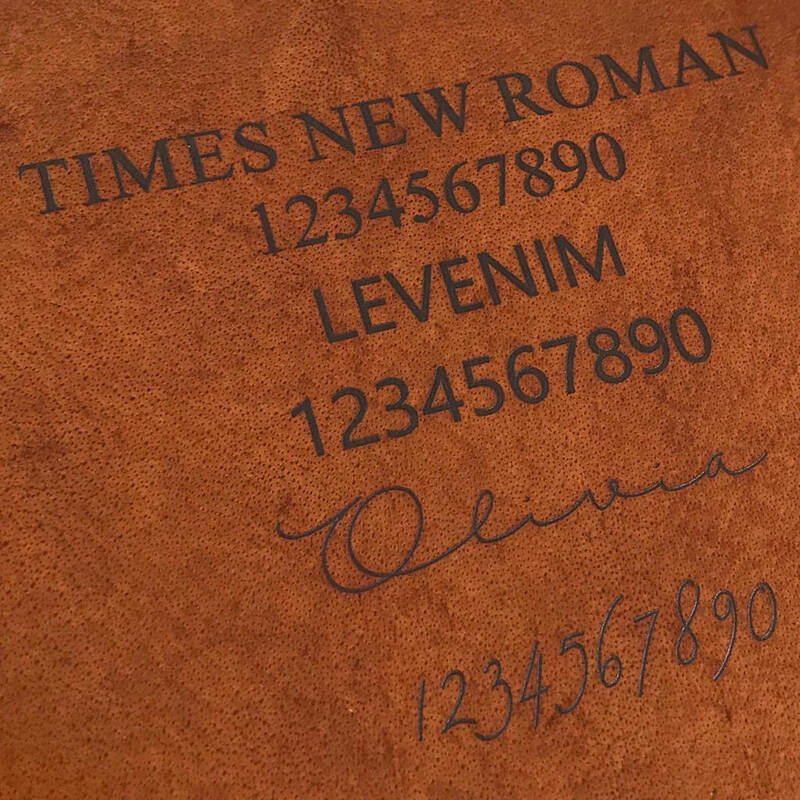 Use our speedy in house personalisation service to add a name, initials or date in a choice of fonts. 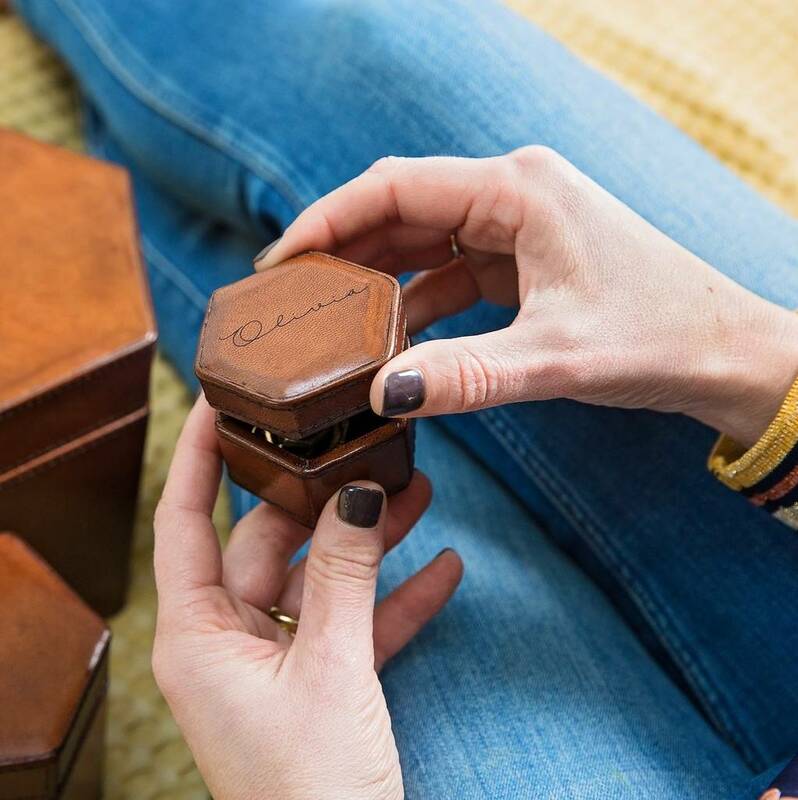 Make use of up to 8 characters or choose an initial inside a sweet heart, all centrally positioned on the lid. 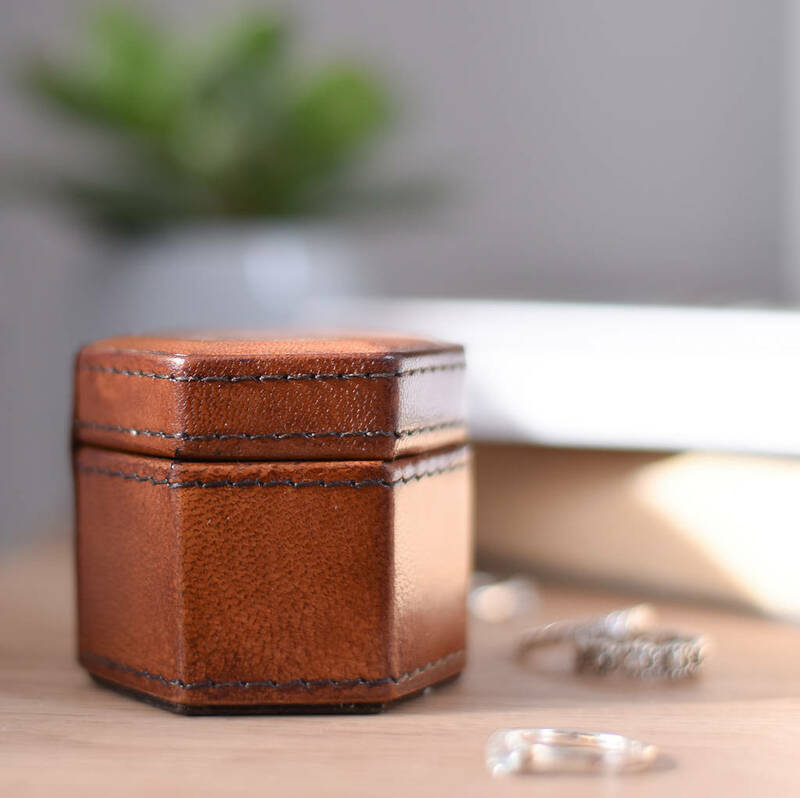 Tan leather with dark micro suede lining. 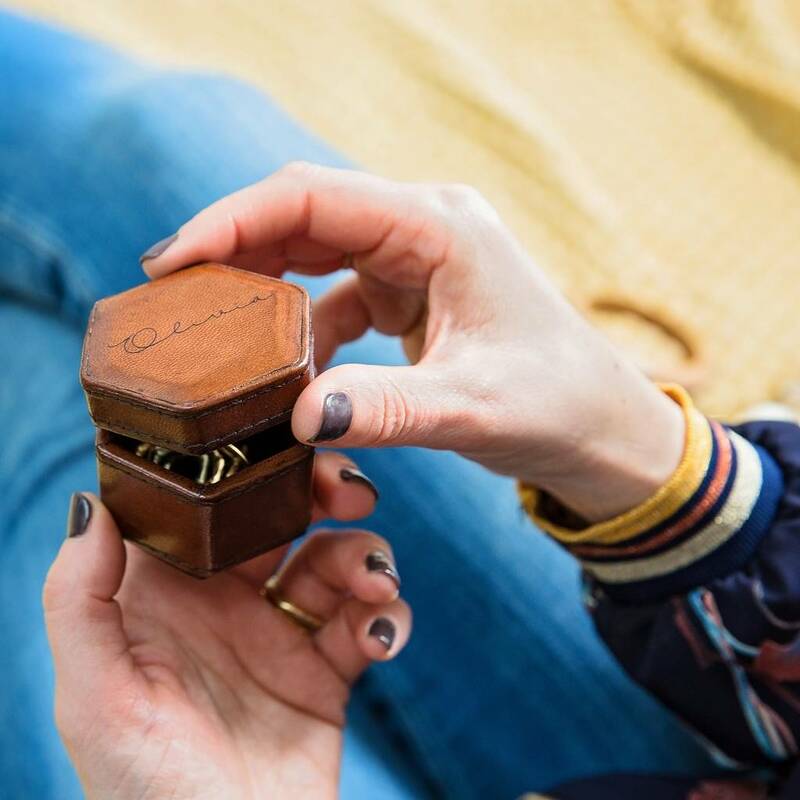 Hidden magnetic lid closure.